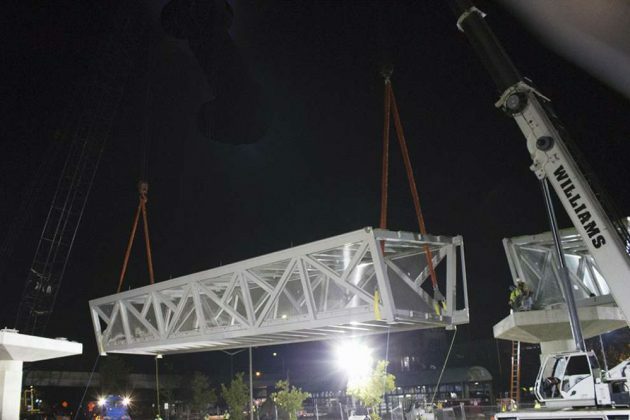 As work on Phase 2 of Metro’s Silver Line project continues, a pedestrian walkway was recently set over the bus loop at the Herndon-Monroe Park and Ride facility. 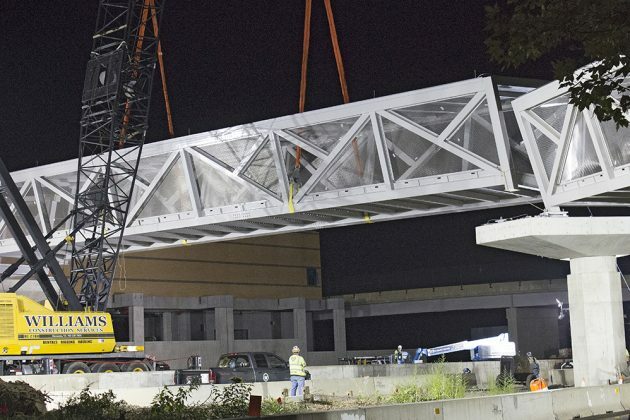 The walkway, which will provide access to the Silver Line’s future Herndon Station from the south side of the Dulles Toll Road, will be integrated with existing and future infrastructure at the park and ride, according to information provided by the Dulles Corridor Metrorail Project. 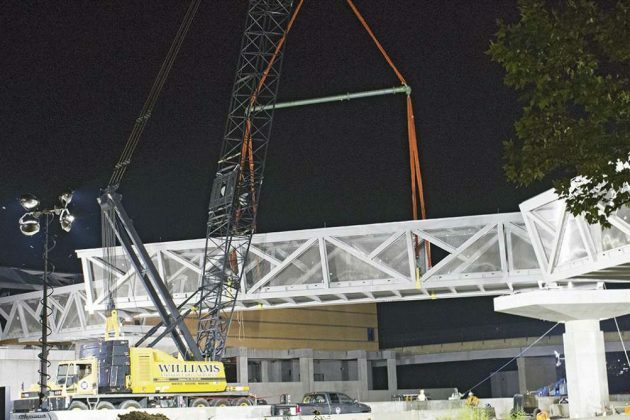 The pedestrian bridge from the north side of the Dulles Toll Road (westbound lanes) is scheduled to be installed this weekend. 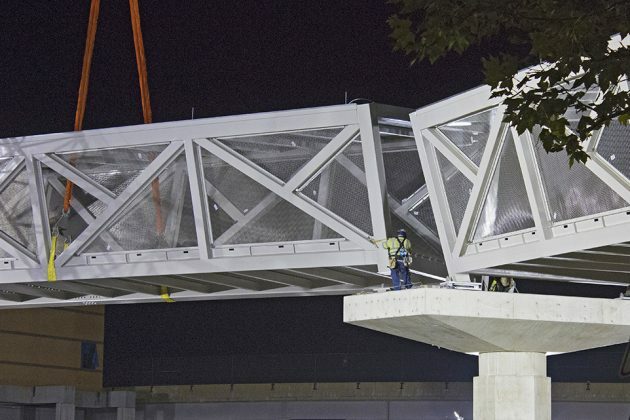 Construction work on Phase 2 of the Silver Line, which will extend the Metrorail from Reston to Ashburn, was reported in July to be more than 60 percent done. 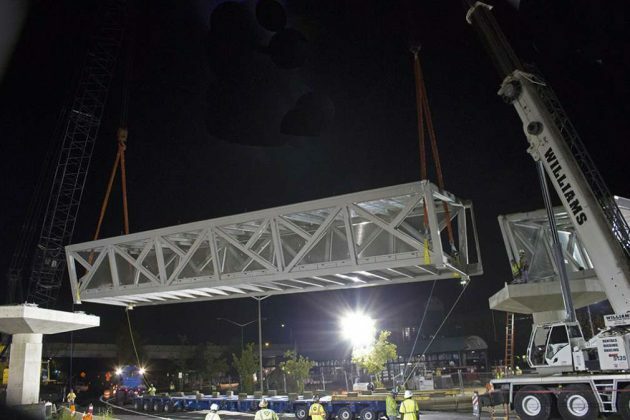 The line is expected to be opened to the public in 2020.